How to draw background using perspective. 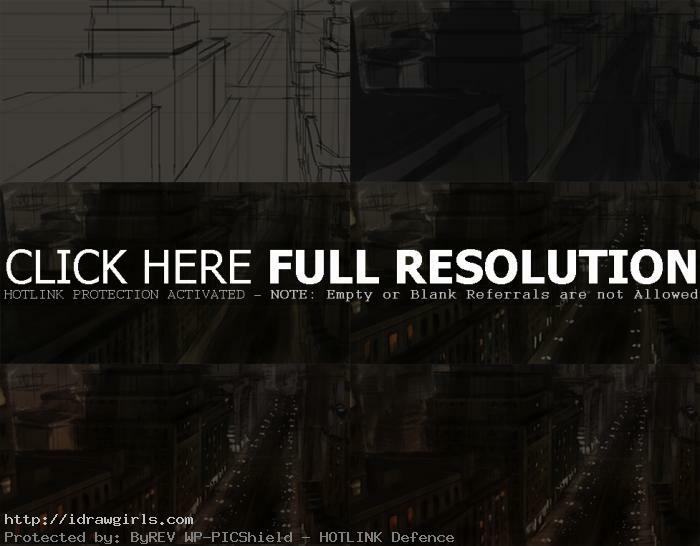 Learn to draw background for concept art or comics using one point perspective. Here is a short tutorial on environmental concept sketch using one point perspective. Like I said before that I am going to do more environmental speed paintings (quick color sketches). Environmental involving perspective is probably one of the area I want to really be good at since I have not done a lot of them. This one is a city at night study using one point perspective, it took me about an hour and a half painting and probably about a few more hours ref research and thinking. Like I usually do, I am focusing on the big shape first and foremost and line them up with perspective grid I drew up. After I got all the big shapes or elements in place, then I begin to work on rough detail to identify what kind of objects they are such as buildings etc. Here is the city at night quick color sketch. 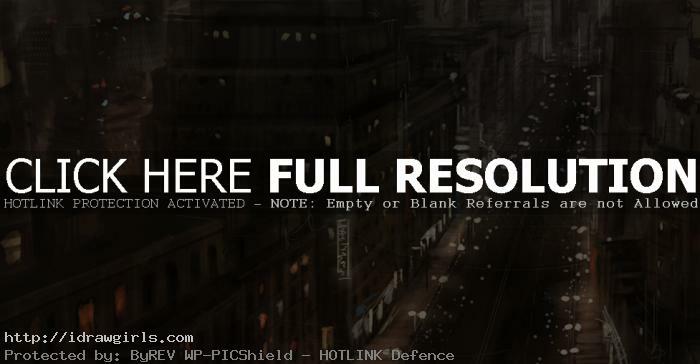 Here is a final city at night background. One vanishing point is typically used for roads, railway tracks, hallways, or buildings viewed so that the front is directly facing the viewer. Any objects that are made up of lines either directly parallel with the viewer’s line of sight or directly perpendicular (the railroad slats) can be represented with one-point perspective. One-point perspective exists when the painting plate (also known as the picture plane) is parallel to two axes of a rectilinear (or Cartesian) scene — a scene which is composed entirely of linear elements that intersect only at right angles. If one axis is parallel with the picture plane, then all elements are either parallel to the painting plate (either horizontally or vertically) or perpendicular to it. All elements that are parallel to the painting plate are drawn as parallel lines. All elements that are perpendicular to the painting plate converge at a single point (a vanishing point) on the horizon. 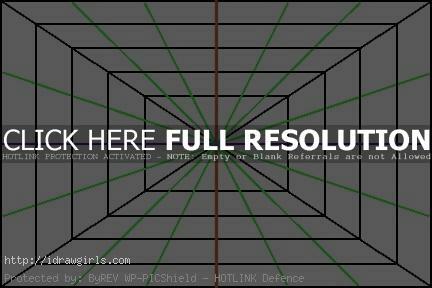 Here is a sample of the one point perspective grid I used. Below as you will see, I move the horizontal line to the higher position, very close to the top boarder. As a result, the perspective will create a bird eye view camera angle image (looking from above). Then I placed the vanishing point is on the top right corner area instead of closer to the middle because it creates more interesting composition to the overall piece. This gave me a lot of help, thanks!